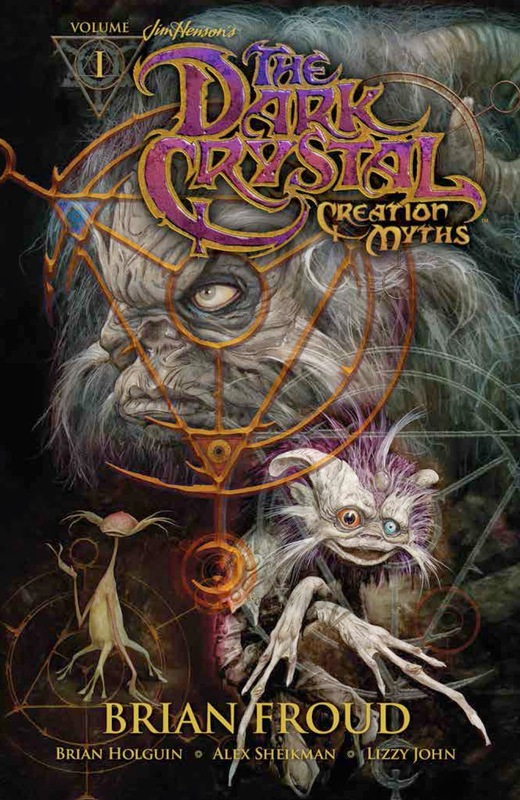 Also, to celebrate this year’s 35th Anniversary of The Dark Crystal movie release, Archaia began publishing an official sequel, a 12-issue comic book series titled The Power of the Dark Crystal that picks up long after the events of the original film. Most recently, it was announced that Jim Henson's The Dark Crystal Tales, a children’s book by acclaimed writer and artist Cory Godbey (Have Courage, Be Kind: The Tale of Cinderella), will be released this summer. The publication is a follow-up to last fall's best-selling Jim Henson's Labyrinth Tales, also written and illustrated by Godbey. The anthology series, The Storyteller, features both human actors and creations from Jim Henson's Creature Shop in this retelling of classic folk tales, fables, and legends. The series stars John Hurt in the title role. Aided by his cynical dog, Hurt narrates fascinating tales that combine humor, intrigue, and magic.